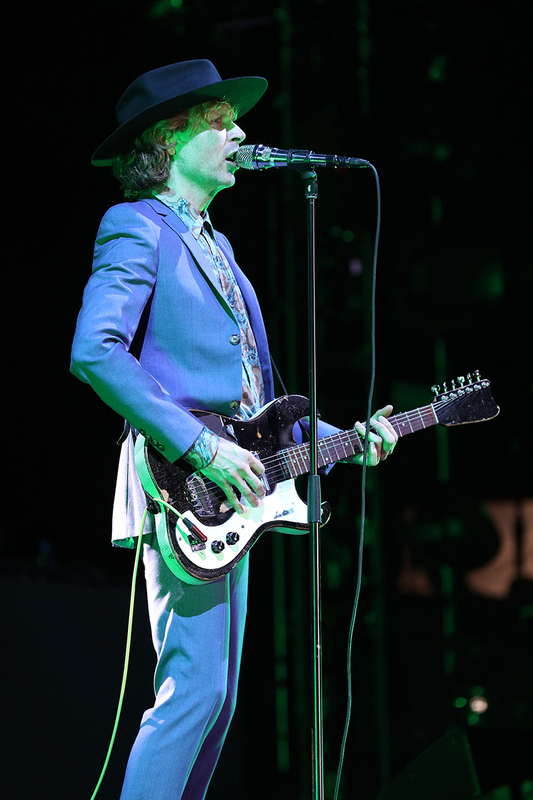 Colors, the acclaimed 13th album from Beck, came out just over a year ago. And this hard-working American singer/songwriter/rapper/multi-instrumentalist has been pretty much on the road ever since, kicking off his 2018 tour with an Auckland City Limits (Auckland, New Zealand) performance in early March. 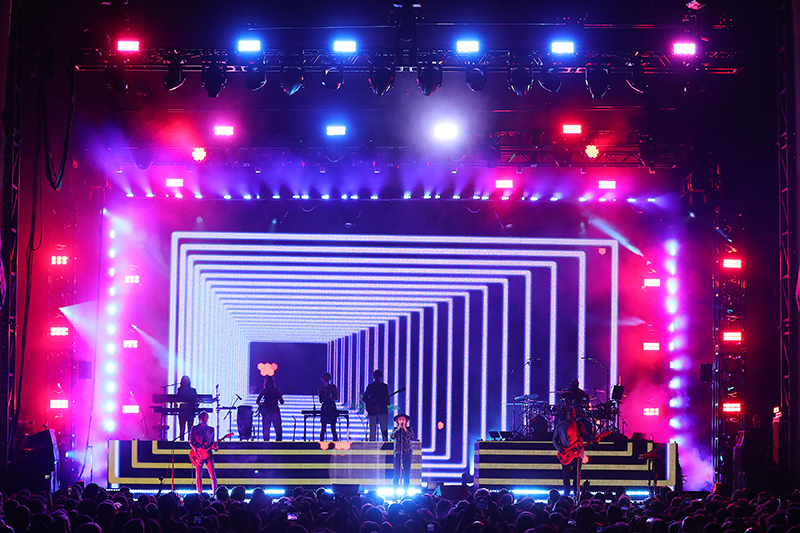 This was soon followed by a U.S. leg, then a 12-date/eight-country northern European jaunt, and a summer/early fall 24-city (plus two Japan shows) North American run of theaters, festivals and amphitheaters — including Red Rocks and The Hollywood Bowl — that wrapped up Oct. 6 at Houston’s Heights Theater. 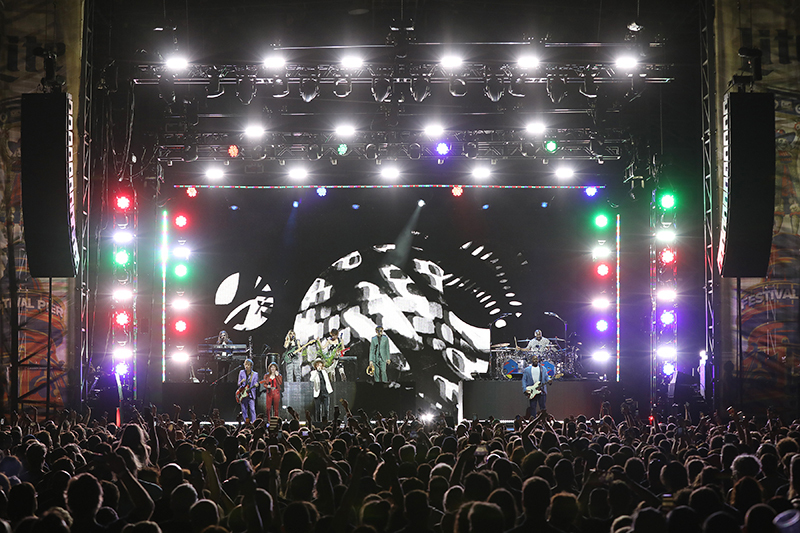 Clearly this guy and his hardworking crew don’t get much of a chance to sleep, but we chatted with the tour’s FOH and monitor mixers to get a few insights on the audio production. 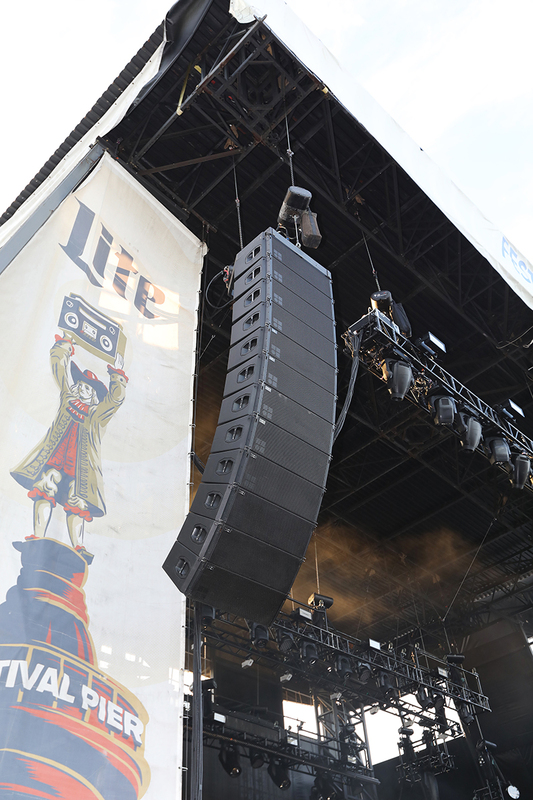 Speaking of crew, the sound provider is Eighth Day Sound, who supplied a large d&b audiotechnik J-Series rig with J8 large-format, dual-12, three-way (80° horizontal dispersion) line array boxes paired with J-SUB triple-18 cardioid subwoofers. 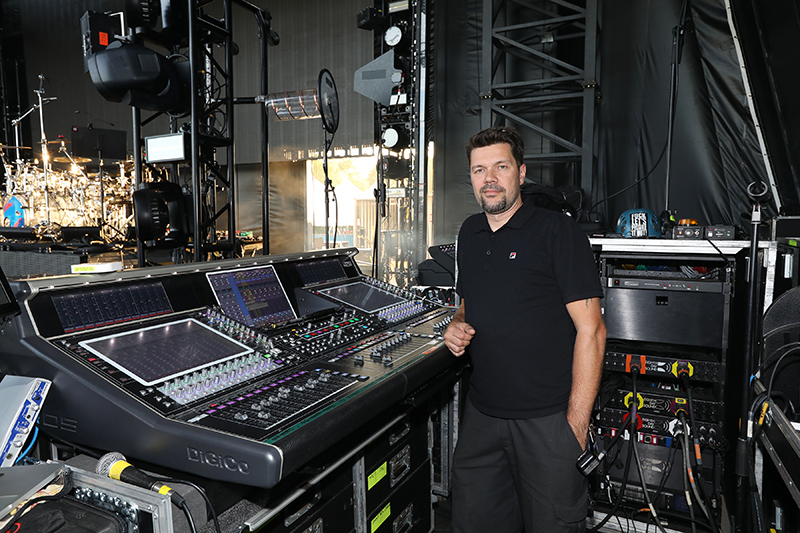 Returning to handle front of house mix duties is engineer Paul David Hager, who is known not only for his live sound abilities but his studio chops as well. Hager’s extensive resume also includes work with bands such as Miley Cyrus, Devo, The Goo Goo Dolls, Demi Lovato, American Hi-Fi and a long list of others. Hager started out as a guitarist, but fell into engineering somewhat by accident. When he was about 20, he mentioned to a friend’s band that their sound was really bad, and they asked him to mix. 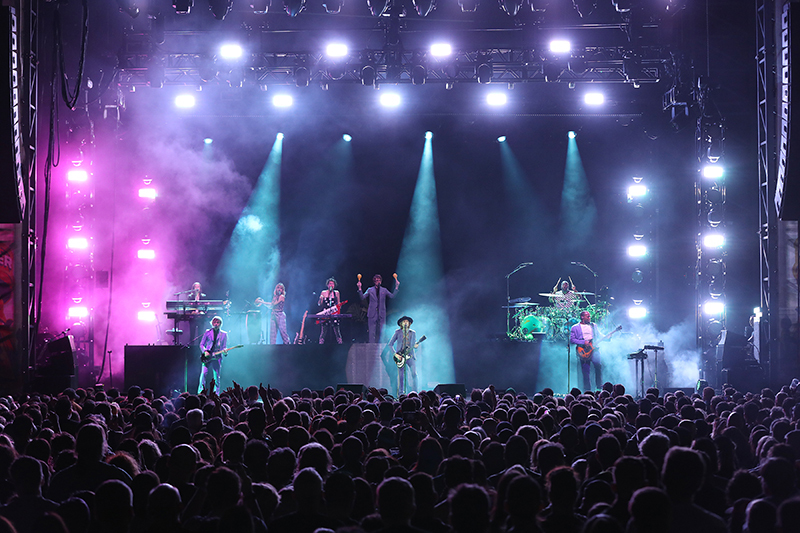 “After the gig, everyone said it sounded great,” he recalls, although Hager doesn’t take too much credit for the sound, because he says the kick and snare sounds were coming off a Simmons electronic drum module. 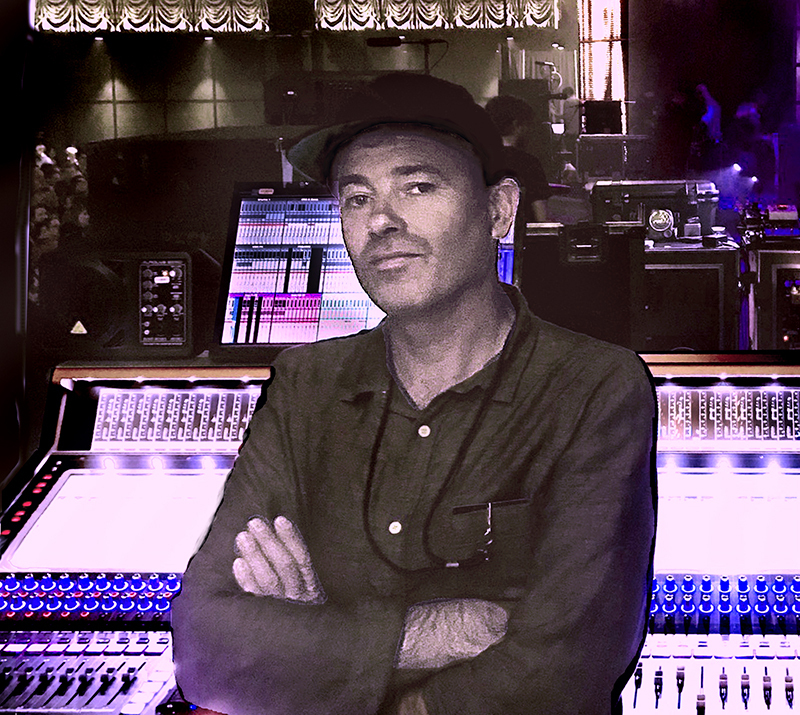 Hager took the Beck FOH gig three years ago, after the departure of Sean “Sully” Sullivan, who left to work with the Red Hot Chili Peppers. The guitar sounds are fairly straightforward, with mics capturing the nuances of the guitar work. Heil PR 30s are used on Beck’s amps as well as those of Jake Sinclair and Cecilia Della Peruti. “On Jason Falkner’s guitar amps, I’m using a Shure KSM313/NE ribbon mic. He has a Vox AC-30 and a Supro — which are kind of harsh, but the ribbon took care of that,” notes Hager. Dwayne Moore’s bass sound came from a combination of a Heil PR30B on the cabinet and a DI output from the amp. 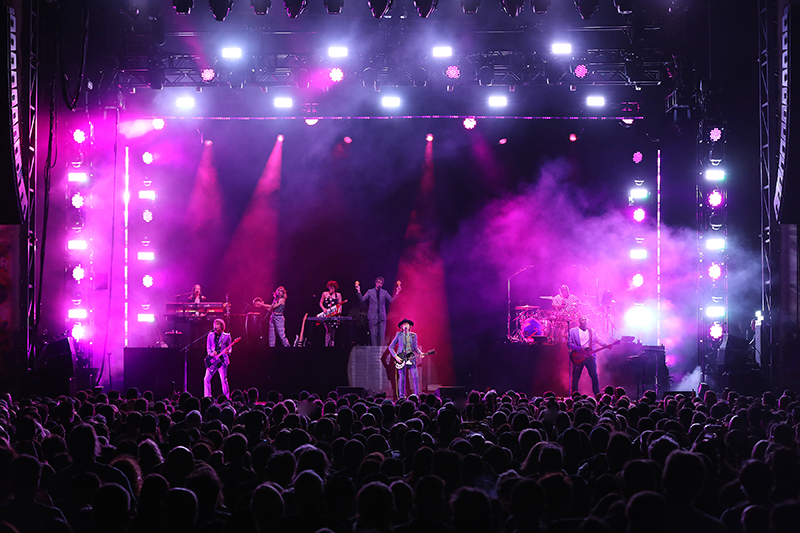 The tour has two monitor engineers — Pasi Hara doing mixes for Beck and any guest performers, and Manu Goodwin handling monitors for the band and the tech crew. Both are veterans of past Beck tours. The two come from varied backgrounds. Now an L.A. resident, Hara originally came from Finland, where he worked with Helsinki-based goth rockers HIM, and later began mixing for System of a Down, SOAD frontman Serj Tankian, as well as Slash (since 2014) and stints with Tool, Fall Out Boy, Fergie and Kiss. Hara is working on a DiGiCo SD-5, although “I have a few outboard items — Avalon 737 mic preamps for the main vocal (and spare) — both are inline before it hits the console. I also have a couple Eventide H3000 effects, two Eventide Helixes and I have a Waves server, which I use mostly for effects and some nicer reverbs. 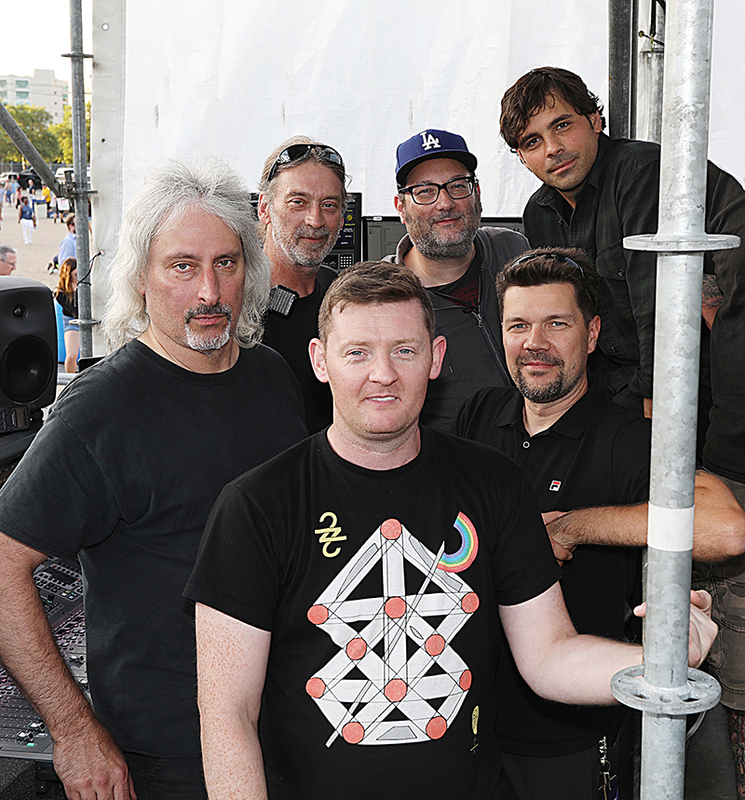 But most of the onboard dynamics and multi-bands I am quite happy with — you always have to be mindful of the added latency with any outside stuff, especially on the lead vocal mix,” he warns. 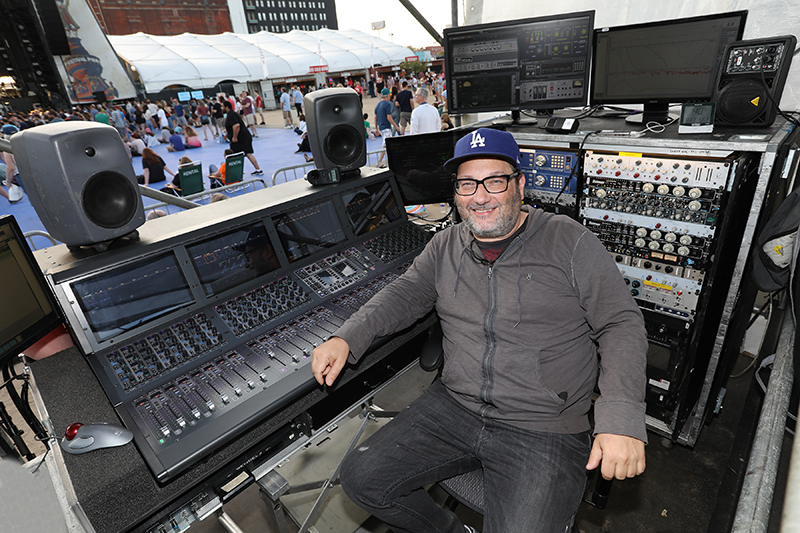 Goodwin, mixing on a SD-10, relies mainly on the DiGiCo’s onboard effects. Hara is also responsible for RF coordination. “I’m using Shure’s Wireless Workbench 6 to coordinate all the RF and to monitor all the mics, IEM and guitar wireless. Everything is networked together so I can see them all at one location and we use an Axient 600 Spectrum Manager to scan and monitor the entire spectrum before deploying any new frequencies.